Breaking Bad is the story of a high school chemistry teacher thrust into a life of crime by situations beyond his control. Of course, once he starts making that cash and feeling that power, he finds that he kind of likes being a crook. 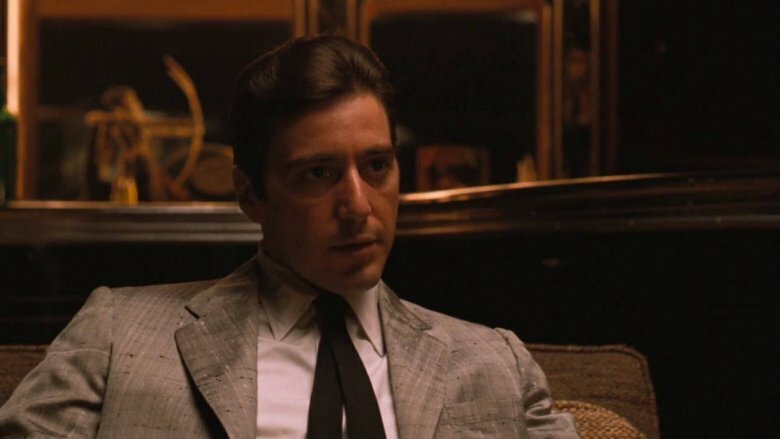 But long before Walter White lost his soul and became a killer kingpin, there was Michael Corleone, the OG when it comes to being an OG. Just like Walter, Michael didn't set out to become a mafioso, but as he fell deeper into darkness over the course of The Godfather, Michael discovered that, yes, it does feel good to be a gangster. Still, even though he goes from war hero to wiseguy, we couldn't help but root for Michael in the first film. After all, the rival gangs shot his dad, blew up his wife, and blasted his brother to smithereens. We really wanted Michael to get his revenge — and boy, did he ever — but just like Walter White in the final moments of "Face Off," Michael loses all the good will he's garnered when The Godfather Part II rolls around. He physically assaults his wife (Diane Keaton), takes her kids away, and cuts her out of their lives. Topping it all off, he sends his brother off on the world's worst fishing trip. Any humanity this guy had left is gone, and all that remains is left sitting alone on a park bench, a godfather without a family. In any other movie besides Blade Runner, Roy Batty would be the hero. Played by Rutger Hauer, Batty is a Nexus-6 replicant, a slave android forced to fight wars in off-world colonies. He also has a short lease on life, as replicants can only live for four years. The deck is stacked against Batty from the day he's created, and it's not like he's some sort of mindless machine — in addition to his super strength and mental abilities, he has genuine human emotions. With his death day coming up, Roy stages a mutiny, escapes slavery, and goes to Earth, searching for the sadistic inventor who created him, hoping to gain just a few more years of existence. Again, in another movie, Roy would be the perfect hero. 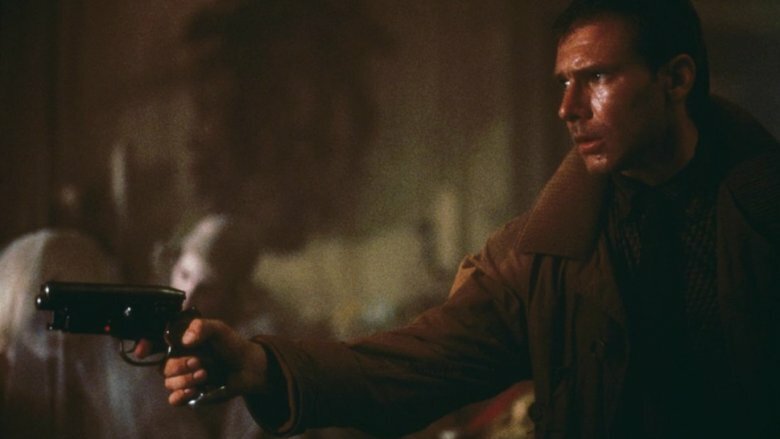 But in Blade Runner, the protagonist duties fall to Rick Deckard, who's basically a gun-toting goon. 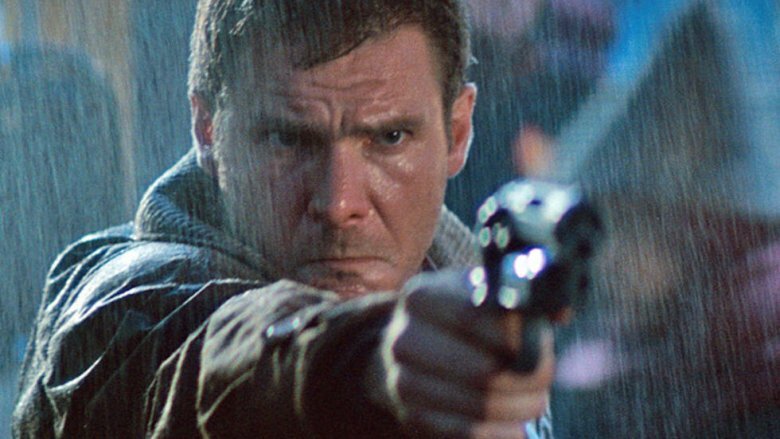 Played by Harrison Ford, Deckard is a blade runner, a guy whose sole purpose is to hunt down replicants and murder them, all to keep the status quo in check. (Can't have those robots running around and demanding equal rights, can we?) And unfortunately for Batty and his replicant crew, Deckard is incredibly good at his job, retiring three of Batty's buddies over the course of the film. While the humans might view Deckard as a necessary evil, keeping Earth "safe" from rebellious bots, the replicants see him as a slave catcher or a Gestapo agent. And sure, Deckard eventually has a change of heart, but that doesn't really do Zhora any good, does it? Antonio Salieri might be the most relatable character in any movie ever. Sure, he's an 18th-century composer employed by an emperor, but everybody knows what it feels like to try your best only to have someone more talented show up and make you look like a fool. And that's exactly what happens to Saliere (played by F. Murray Abraham) in Amadeus, when Wolfgang Amadeus Mozart (Tom Hulce) arrives on the Holy Roman scene. Salieri loves music, and he desperately wishes to become a great composer. 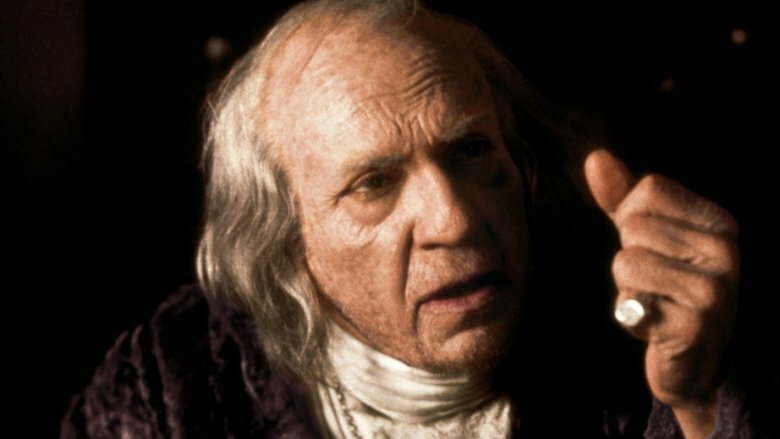 He's got connections to royalty, and he's famous for his time, but Salieri knows Mozart is far superior — his music is transcendent, so beautiful that Salieri believes the young composer to be the voice of God. But Mozart doesn't live up to Salieri's standards as far as behavior goes. He wears flamboyant clothing, eccentric wigs, and laughs like a madman. He's immature, an alcoholic, a man who'll chase shrieking women through a palace, so Salieri is baffled that God would give this guy so much musical talent. We get that Salieri is disappointed that he can't match Mozart. But instead of dealing with it like an adult, he grows bitter. He plots to destroy Mozart in every way possible, using his power to prevent Mozart's rise. Salieri grows so spiteful that he eventually plans to kill Mozart and steal his music. But God ain't having none of that, and Salieri never gets to taste any of that incredible Amadeus glory. Instead, he's just an above-average composer, forgotten by time. 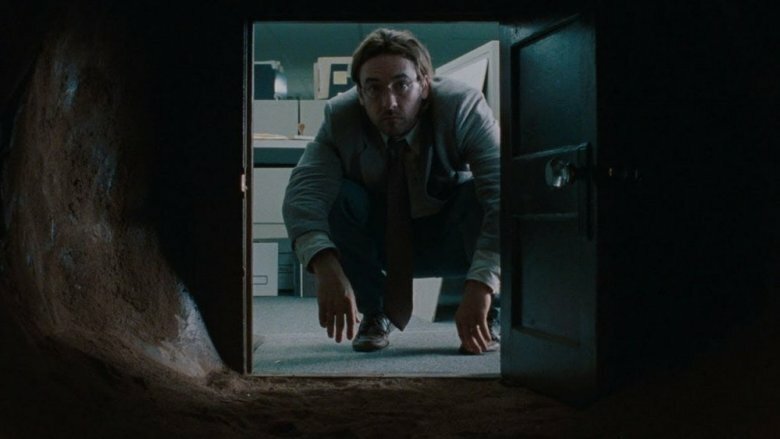 In the opening scenes of Being John Malkovich, Craig Schwartz (John Cusack) is a down-on-his-luck marionettist, putting on questionable puppet shows on New York City street corners. But when he finds a portal that leads directly into the head of actor John Malkovich, Schwartz morphs from an unemployed artist into a demonic Svengali, quite literally controlling Malkovich's life. It all starts off innocently enough, with Schwartz taking a trip or two down the portal. That initial curiosity is totally understandable, but when Schwartz tries impressing his attractive coworker Maxine (Catherine Keener), he opens the portal up to the public, charging a hefty fee for strangers to travel into Malkovich's mind. Soon enough, Schwartz realizes there's a whole world of possibility here for a puppeteer, and like an evil spirit, he sets up shop inside Malkovich's head…permanently. After locking his wife (Cameron Diaz) inside an animal cage, Schwartz uses Malkovich's influence to launch his own internationally renowned puppet show. He also uses Malkovich's body to seduce Maxine (and takes sadistic pleasure in making the horrified Malkovich, um, do things). Schwartz is at his most insidious when he performs his "dance of despair and disillusionment," forcing Malkovich to jump and roll around the room like a life-sized marionette. As a man used to pulling strings, Schwartz absolutely loves "playing with people," so when finally gets his just desserts, it's a fate he subconsciously puppeteered all by himself. Losing a child is the worst thing that can happen to a parent, so when Jimmy Markum's (Sean Penn) daughter winds up dead, his grief is 100 percent understandable. Jimmy is absolutely devastated when he learns his kid has been killed. In fact, he's filled with so much anger and agony that a legion of cops has to hold him back from running onto the crime scene. But as we discover over the course of Mystic River, Jimmy Markum isn't your typical family man — long before he started running that little convenience store, he was a dude with a reputation for making people disappear forever. So after his daughter's death, Jimmy decides to take the law into his own hands. We can all get behind a character seeking some revenge — see Kill Bill or John Wick for proof — but Jimmy's rage is sadly misdirected. Through a series of very unfortunate events (stretching back to when he was just an 11-year-old kid), Jimmy comes to suspect his childhood friend Dave Boyle (Tim Robbins) of the murder. But Jimmy isn't the kind of guy to call the cops, especially since he doesn't have any solid evidence…or any evidence at all, really. So instead, as we're screaming for him to chill out and put that knife away, Jimmy forces a confession out of Dave and then sends his buddy down to the murky depths of the Mystic River. Of course, Dave had nothing to do with the death of Jimmy's daughter, leaving us with a feeling of absolute despair as the credits roll — both for the guy who got stabbed and the father who will never find peace. 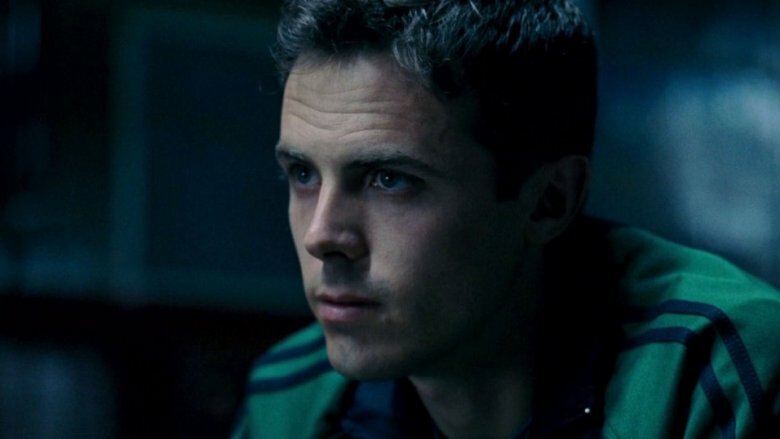 Gone Baby Gone stars Casey Affleck as Patrick Kenzie, a private detective who — along with his girlfriend Angie Gennaro (Michelle Monaghan) — looks for missing people. He genuinely cares about his neighbors, legitimately wants to help others, and has a moral code to help him navigate a world full of drug dealers and corrupt cops. 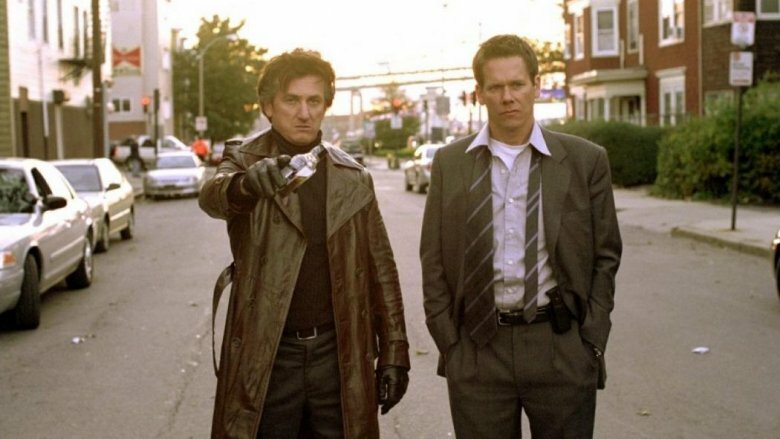 So when he's hired to find a missing girl, Patrick seems like the perfect guy for the job, and for the most of the movie, we're totally on his side, cheering him on as he works his way through Boston's underbelly. However, things start getting tricky in the last 30 minutes. After finding his way through a labyrinth of lies, Patrick discovers this little girl — who he thought was dead — has been abducted by a highly respected police captain (Morgan Freeman) with the help of two detectives and the girl's own uncle. But there's nothing nefarious going on. See, the little girl's mother (an Oscar-nominated Amy Ryan) is a neglectful, abusive junkie, and there's a good chance the kid will wind up dead or just like her drug-addicted mom. The cops faked the kidnapping so the girl can live with the kindly captain and grow up in a world of love, peace, and security. Unfortunately, Patrick sees the world in black and white. In his mind, you just can't take a kid from her mom, even if you mean well. You can't break the law. Family is too important. The captain pleads with Patrick to consider the girl's future, and Angie begs him too. Moviegoers are crossing their fingers, hoping Patrick will make the best decision, but in the end, he picks up a phone and calls the state police, a decision that gives us one of the most heartbreaking final scenes in cinematic history. It should come as no surprise that Jesse James (Brad Pitt) is shot to death in The Assassination of Jesse James by the Coward Robert Ford. 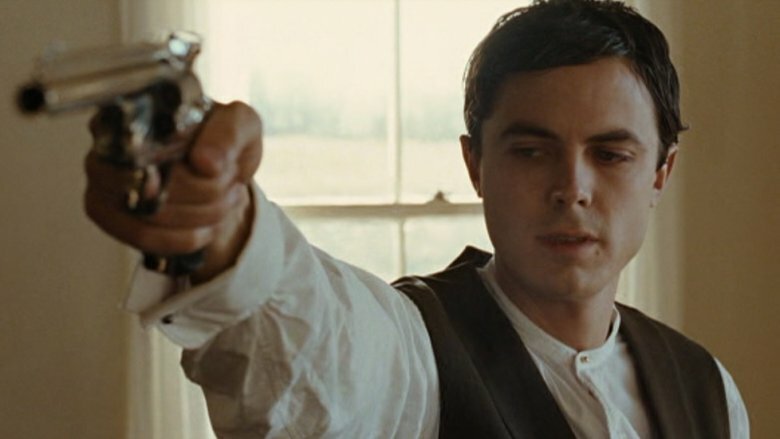 It also won't come as a shock that the man who pulls the trigger is Bob Ford (Casey Affleck), an outlaw wannabe who idolizes James…until he finally meets his hero, anyway. Affleck plays Ford as the world's most toxic fanboy, an obsessive sycophant who dreams of one day taking James' place. But when the notorious train robber mocks Bob and crushes his dreams, the mancrush gives way to murder. If his hero is going to make fun, then Ford is going to put his hero in the dirt. And once he does away with his old idol, Ford hopes to become a legend, a man who's loved and applauded as much as James himself. Now, granted, Jesse James doesn't deserve to live a long and happy life. He's a violent man who's battling some truly disturbing urges. At the same time, Ford is a sleazy backstabber who doesn't care about justice. He isn't trying to rid the world of a murderer or stand up for civilized folks — he's basically the old-timey version of Mark David Chapman, a disturbed fan who wants to shoot a rock star, and it's hard to cheer for this self-serving weasel as he lays out a legend. Directed by Chris Morris, Four Lions is a truly unique film, one that really plays with your emotions when it comes to the protagonist. The lead character is Omar (Riz Ahmed), a lovable family man who adores his wife and makes up Lion King bedtime stories for his young son. He's also a terrorist who intends to kill as many people as possible in a suicide attack. And this isn't some third act plot twist: Omar is plotting and planning to bring down western civilization from the very first frame, but striking fear in the heart of the infidel is difficult when your terrorist buddies are all complete idiots. As the leader of his four-man cell, Omar is constantly putting up with all sorts of stupidity. His mujahideen mates want to blow up the internet, think faulty spark plugs are a result of a Jewish conspiracy, and have no idea how to make a proper terrorist video. And watching Omar's exasperation with these idiots is one of the reasons we kind of sympathize with the guy. He's like a babysitter trying to corral a bunch of rambunctious kids. On top of that, when he's not plotting a suicide bombing, Omar seems like the kind of guy you might want to hang out with. Four Lions does an excellent job of not only laughing at terrorists, but humanizing them. At the same time, Omar is trying to kill a whole bunch of people. Worse still, he's manipulating a mentally handicapped friend into blowing himself up. 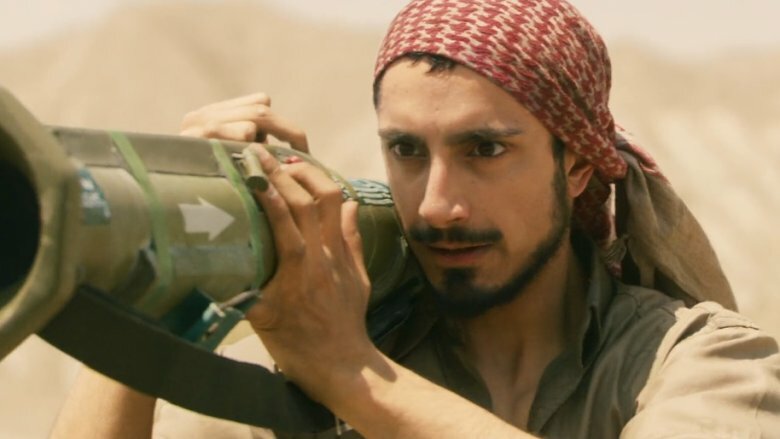 And as Omar's plan starts moving forward, we're left desperately hoping that he'll change his mind and call off the mission before something truly horrible happens. Ray Kroc believes in the American Dream, in pulling yourself up by your bootstraps and making something out of yourself. Of course, that's easier said than done, and this down-on-his-luck salesman (played by Michael Keaton) just can't seem to catch a break — until he run across a truly unique restaurant. 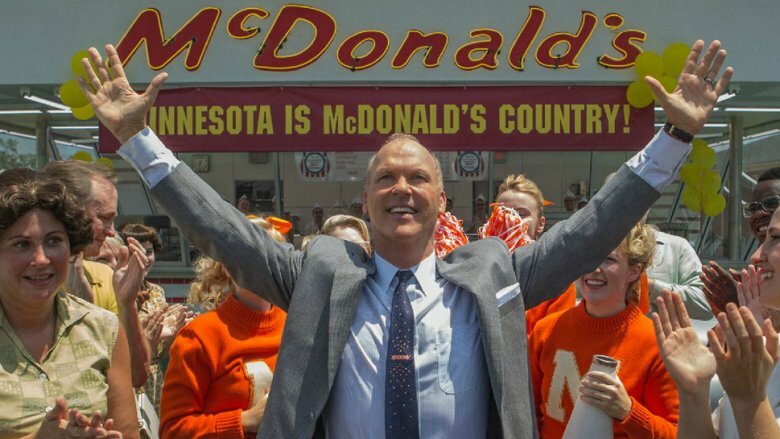 Directed by John Lee Hancock, The Founder follows Kroc as he meets Richard and Maurice McDonald, brothers who run a successful burger joint. Kroc is fascinated by the restaurant's speed and efficiency, and he soon convinces the brothers to let him help them branch out, opening McDonald's franchises across the country. It's easy to side with Kroc at first, as he grows frustrated with the brothers' old-fashioned values. For example, they want to operate costly freezers in every single McDonald's so they can store ice cream for their milkshakes. Kroc, on the other hand, thinks powdered milk would be a simpler, cheaper solution, but the brothers coldly shoot him down. Basically, the McDonalds are dinosaurs who can't get with the times. On top of that, the brothers aren't exactly eager to renegotiate Kroc's contract, which means our guy is seeing way more burgers than bucks. Still, the McDonald brothers are gentle, aw-shucks types, and it is their business, after all. Kroc was a guy who jumped on the McDonald's train when the owners were perfectly happy just operating out of their little building. But folksy charm is no match for Gordon Gekko levels of greed, and Kroc is one cutthroat businessman. Soon enough, he stages a fast food coup, using real estate savvy to undermine the brothers and steal their empire. The man is nothing if not persistent, and while he does eventually walk away a millionaire, it's hard to like anybody who stabs Ron Swanson in the back. 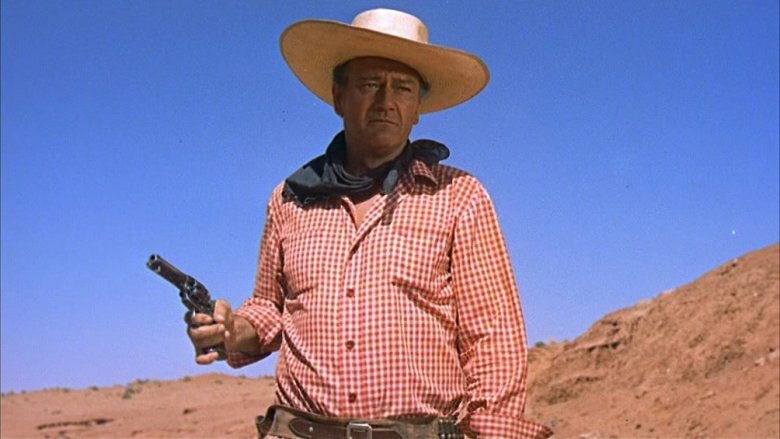 Old-timey Westerns are pretty problematic when it comes to their depictions of Native Americans, and this Manifest Destiny stereotype is most closely associated with John Wayne, an actor who hit that trope hard in movies like Stagecoach and Rio Grande. Even worse, Wayne was more than a teeny bit racist in real life. Director John Ford turned that uber-American ideal on its head in The Searchers. This 1956 Western finds Wayne playing Ethan Edwards, a Confederate soldier whose nieces are kidnapped by Comanche warriors. Naturally, this doesn't sit well with Ethan, so he sets off, rifle in hand, to rescue his relatives. And hey, we can all root for that, right? It's like Liam Neeson in Taken or Denzel Washington in Man on Fire…only Ethan is a genocidal gunslinger. See, Ethan doesn't just hate the Native Americans who captured his nieces. He hates all Native Americans. He scalps an Indian chief and desecrates a Comanche corpse out of spite. He tries to wipe out an entire herd of buffalo so the Native tribes won't have anything to eat. He's so racist that he eventually decides to murder his youngest niece (who's been missing for years at this point) because, in his eyes, she "ain't white, not anymore." In fairness, the movie knows Ethan is a horrible racist, and it doesn't support his desire to murder everybody he meets. (He actually inspired the creation of another pistol-packing racist: Travis Bickle.) Having the typically heroic cowboy turn out to be such an awful guy is what makes The Searchers so awesome. And when Ethan is finally left to wander forever between the winds, he definitely deserves his lonely fate.